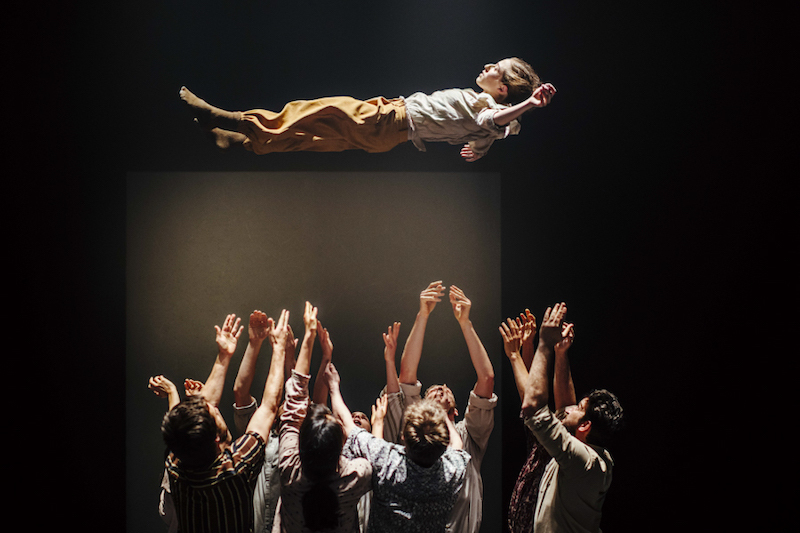 Grand Finale – the latest work from Israeli-born, London-based choreographer Hofesh Shechter – makes for heavy viewing. Premised as an apocalyptic response to disaster and disintegration, the work delivers nothing less than a visceral ode to the end of time. But amidst the unrelenting bleakness and preoccupation with death, a darkly beautiful study of human resilience emerges through mesmerising repetition and allegory. In his program note, Shechter suggests the work’s opening scene may be viewed as a “flashback to a preceding disaster”. The cast of ten exquisite dancers drift in and out of the hazy blackness, slipping between explosive and slow-motion movement. Their bodies are soft, carried only by the long melancholic notes of the string quintet that joins them on stage. Bodies crumple silently and suddenly to the floor, quickly dragged off into the ill-defined edges of the space. Though the provenance of the disaster is unknown, the atmosphere of chaos and fear is immediately recognisable. It’s an uneasy feeling that pervades the work from start to finish. By tapping into a universal feeling of disorder, Shechter is concerned with the collective response to trauma. How does humanity move forward in the face of inevitable collapse? 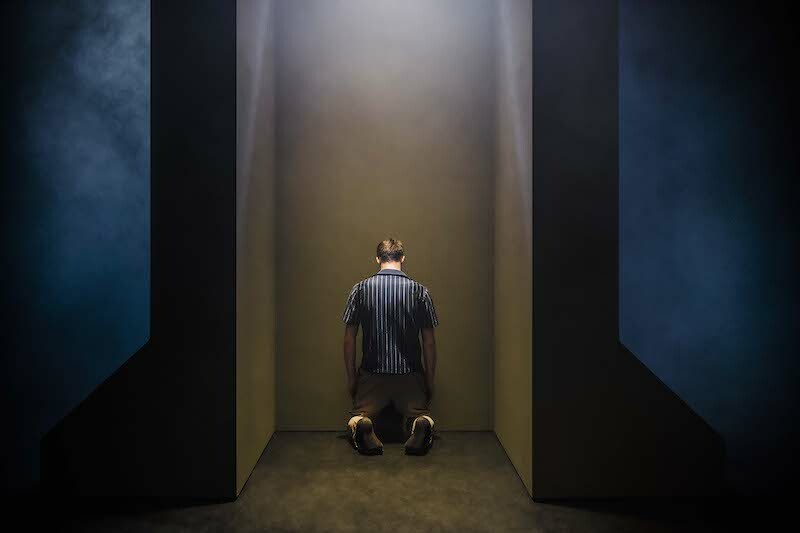 Not one for answers, Shechter’s work simply asks the questions. Through a series of choreographic motifs and allegorical tableaux, the dancers on stage function as a microcosm of humanity. The ensemble continuously fractures and rapidly reforms, broken apart by external force or individual impulse. Lifeless bodies are dragged across the space; barbaric mob violence erupts; corpses are flung around under falling bubbles. 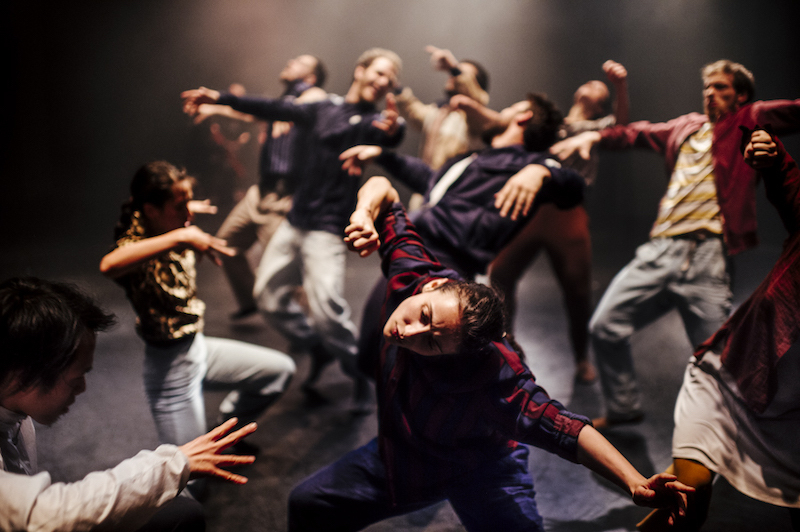 Despite this powerful imagery, the strength of the work lies in Shechter’s signature choreography, which uses a kind of closed kinetic loop to redirect rather than exhaust energy. The movement is richly textured, constantly shifting scale and rhythm. The dancers move effortlessly between the floor and standing, often suspended halfway with a curved spine and tucked pelvis. Shechter indulges in long passages of repetitive movement, typically in unison and featuring elements of Israeli folk dance or club dancing. In one moment, the dancers shuffle around with jig-like steps whilst doubled over, seemingly burdened by a higher power. In the next moment, they sidestep aggressively to the beat, one fist in the air and heads tossed back in manic euphoria. The repetition is mesmerising, each time performed with greater urgency than the last. Driving this repetition is the electronic soundtrack created also by Shechter. Although the music is structurally very simple – indeed, the rhythmic complexity lies in the choreography not the music – sound effects that resemble the cocking of a gun and a ventilator add significant drama. The more nuanced sound choices, however, come from the live quintet playing rearrangements of Franz Lehár and Tchaikovsky. These selections are strategically placed and support the more poignant moments of the work. Tom Scutt’s set design features massive moveable pillars that resemble anything from giant tombstones to border walls to the proverbial State. Via their own choreography, the structures are continuously repositioned, forming then dissolving lines of demarcation between the dancers. The design is brilliantly efficient, instantly triggering questions about political boundaries and interpersonal isolation. There are plenty of striking moments in Grand Finale, but its success comes from the continuous repetition and layering of movement. Over time, rather than becoming desensitised, we feel the gravity of the spectacle augment. Shechter has created a deeply moving work that will inevitably be read differently according to the time and place in which it is performed. But as long as there is hope, as well as loss, Grand Finale will demand its relevance.